I'm embarrassed to say it, but I've become such a suburbanite. We're still unpacking the house and are still adjusting to new ways of doing / storing things and yet, that hasn't stopped me from obsessing about my new toy: a Weber grill, Performer model. 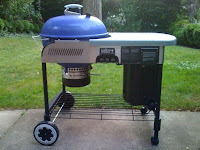 I've got the tools, I've attached the cute little propane gas tank, and Friday night, after a quick trip to Costco for beer and chicken, I'm firing it up for a test grill in preparation for the grandkids visit on Sunday. 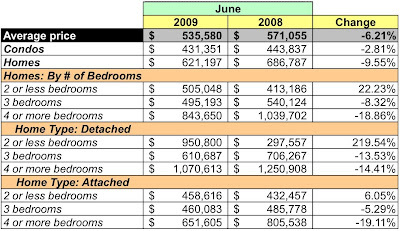 MRIS released June's data for signed sales contracts for existing home and condos in the District during May 2009 almost two weeks ago. My interpretatio of the data is that although sales volume is up, prices are lower than the same period last year. In contrast to May, the condo market was better: prices up 2.38%, sales volume up 5.34%. Sales of high prices homes, those costing more than $1M, continue to skew the market; 43 homes - 12.8% of all home sales - sold for more than $1MM. Dollar volume is up 4.36%. That of condos ticked upwards by 2.38% and grew 5.52% for homes. Sales volume grew 11.27%. Condo unit sales increased 5.34% while homes rose 16.67%. However, average prices fell 6.21%. Condo prices were 2.81% lower, homes fell 9.55%. 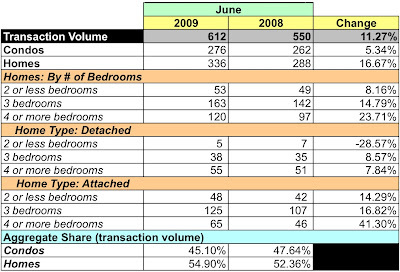 At June's sales rate, there is a 6.11 month's supply of units on the market. For homes, 5.52 months. 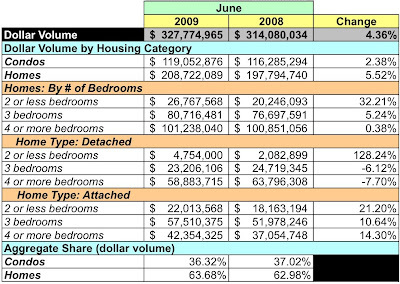 Compared to June 2008, the number of condos listed grew 3.75% and fell 2.16% for homes. Good to see that transaction volume went up!